MAGIC - www.MAGIConline.com is where the international community of apparel, accessories and footwear professionals trades information, previews trends, builds business and shops fashion unlike anywhere else in the industry. Each February and August, tens of thousands of attendees from over 80 countries meet more than 5,000 emerging-to-established brands to spark the strategic connections that become the relationships of tomorrow. MAGIC unites the largest and most influential network of buyers, brands, media and decision makers via innovative initiatives, exclusive access to cutting-edge information and conveniently merchandised show areas: WWDMAGIC, FN PLATFORM, MENS/WEAR, STREET, S.L.A.T.E., POOLTRADESHOW, PROJECT and SOURCING at MAGIC. Recently named to Trade Show Executive's Fastest 50 roster of rapidly growing events, February 2011 marked the launch of RIDE Unltd., the high-octane home of all things action sports, and The Concourse at WWDMAGIC, an interactive destination providing an insider perspective on the trends shaping the lives of today's teens and young women. By combining incomparable commercial potential, creative inspiration and connection opportunities, MAGIC has become the most influential force in fashion. 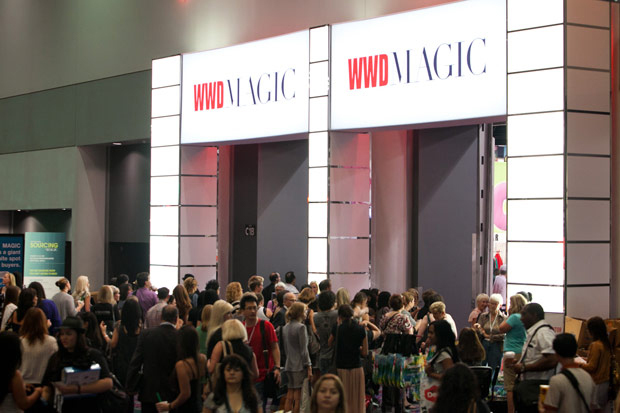 With an average of nearly $200 million in per-day order volume and 85% of the top 50 retailers in attendance, more business is done at MAGIC than any other fashion retail trade event-making MAGIC the definitive platform for conducting the business of fashion.